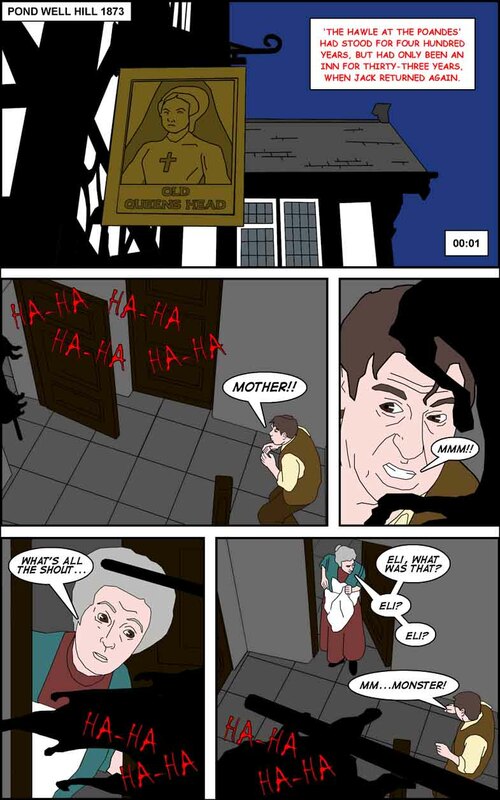 This 71 page full colour Graphic Novel is the second of the Surreal Murder Mystery series from CDComics and is a gothic horror tale of a demon that spans centuries. Spring Heeled Jack first appeared in Penny Dreadfuls in the 1860’s, the comic books of their day and this prankster demon is acknowledged by many as the inspiration for Bram Stoker’s Dracula and Bob Kane’s Batman. This Graphic Novel has the clues to solve the secrets of the infamous Victorian bogeyman in the narrative, so why not test your knowledge of the occult and your powers of deduction as you follow one man attempting to lift a family curse. Many believe that the first sighting of Spring Heeled Jack was in London in 1837, but this pitch fork wielding demon was seen in Sheffield,England, long before that and this narrative blends the facts with fiction. The press reports of his attacks on respectable Victorian women, along with witness descriptions of him as a fire breathing monster with the demonic laugh that could leap over buildings are all taken from newspapers of the time. Local folklore talks of tunnels under the city that were used to transport Mary Queen of Scots, while she was held prisoner at Sheffield Castle between 1570 and 1584, but never when Jack was on the prowl. The oldest pub in Sheffield that has a carving of Spring Heeled Jack on its timber frame was built over an ancient well in 1472 and was the location of many of his appearances. 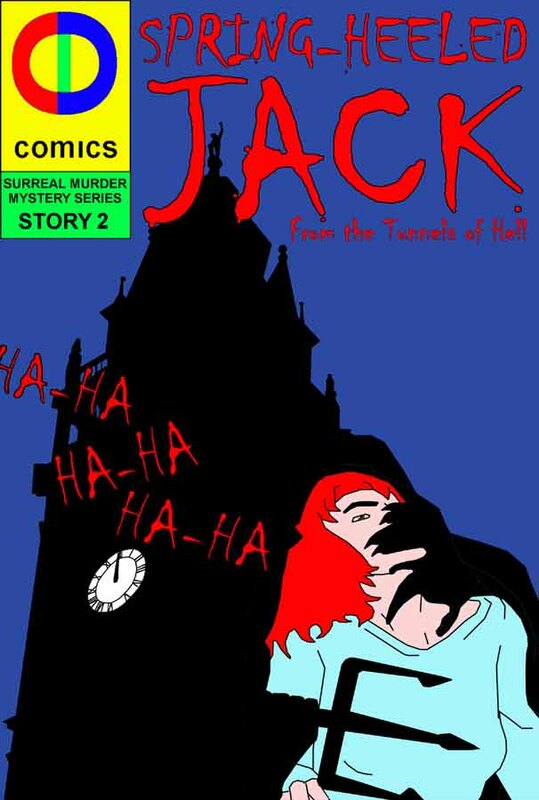 Spring Heeled Jack has been seen in Sheffield many times, 1973, 1873, 1773, and all the way back into unwritten history, but now he’s back again and this time he’s not just ripping at women’s clothes, he’s killing people. 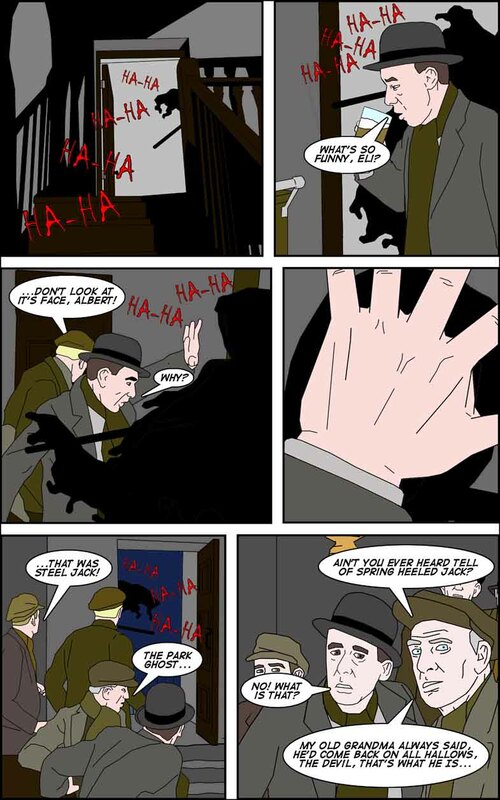 This Graphic Novel brings a demon from hell out of the pages of history and bang up to date and is available to download from Drive Thru Comics priced $0.99/70p UK.